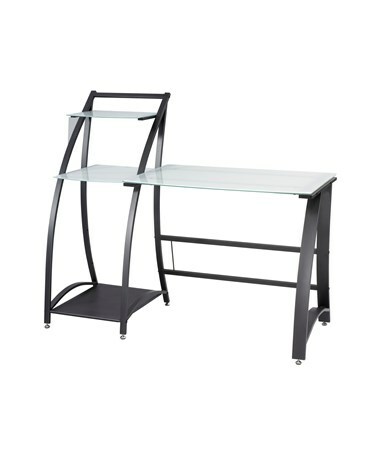 The Safco Xpressions Computer Desk with Side Shelves is a modern-looking and multiuse piece of furniture great for a stylish computer work setup. 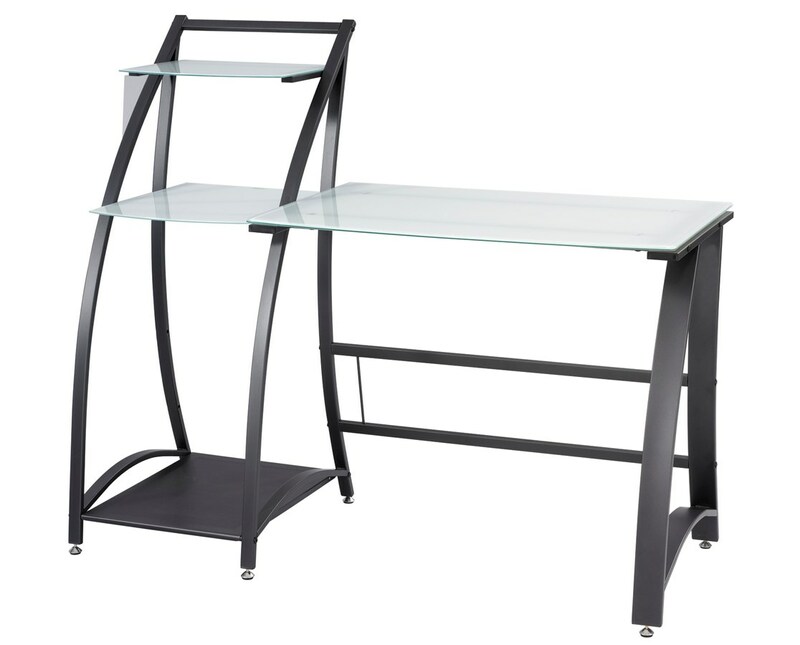 It has tempered glass desktop and side shelves that are held in place with suction cups. The glass allows users to take notes on the desktop using dry erase markers, while the side shelves provide additional storage space. The top and middle shelves can hold 11 pounds of weight and the bottom shelf has a capacity of 20 pounds, while the desktop can hold up to 66 pounds. The steel legs and frame are shaped in an unconventional way for a stylish look. It is GREENGUARD certified for low chemical emissions. An optional keyboard tray (1940BL) is available, which perfectly complements this desk.